Magpie Goose exists through partnerships with remote art centres, individual artists, textile designers, graphic designers, photographers, manufacturers and screenprinters in remote and urban Australia. Co-founders Maggie McGowan and Laura Egan are responsible for overseeing the day to day operations of the business and business strategy and financial management, respectively. 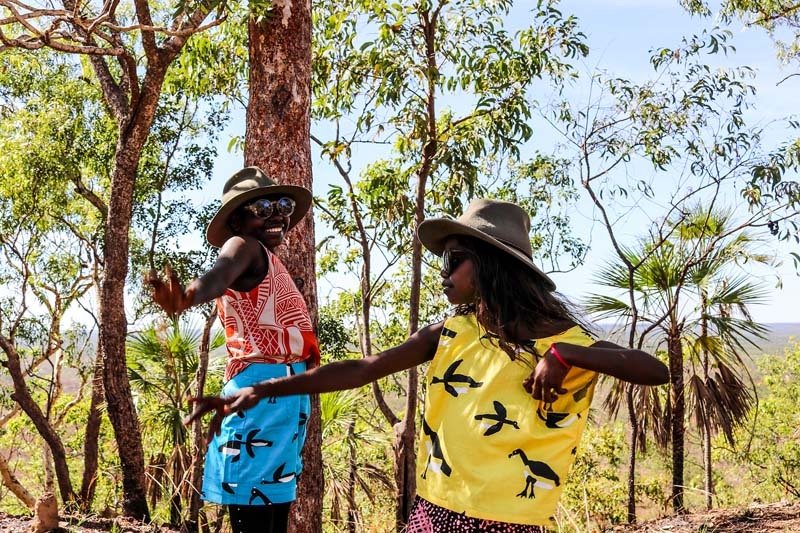 Magpie Goose is an opportunity for the world to connect with and celebrate Aboriginal people, stories and culture through fashion, while also creating economic opportunities for Aboriginal people in remote communities.